New coaching program for Health and Wellness entrepreneurs combines cloud-based technology and virtual conferencing. 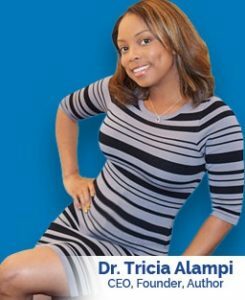 Dr. Tricia Alampi, certified Holistic Life andBusiness Coach, has launched a new virtual coaching program called Stress Less Business. The coaching program is designed for Health and Wellness startups or aspiring entrepreneurs offering services like yoga or meditation instruction, metaphysical counseling, nutritional consulting, fitness training and water ionizer distribution. Tricia meets one-on-one with business owners to help them turn their passion into a profitable and sustainable business. According to the Global Wellness Institute, the global wellness industry is a $3.7 trillion market, constantly growing. Now is the right time to enter the industry. Dr. Alampi helps new businesses set themselves up for success. “If you have a passion about what you do but don’t know how to market, finance or expand your business, then this program is for you,” says Dr. Alampi. Those who are interested in this coaching program can start with a free consultation at www.dralampi.com. Be the first to comment on "Innovative Coaching for Health and Wellness Startups"